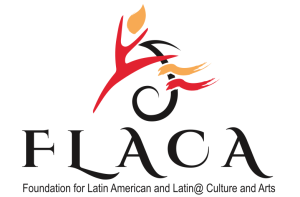 The Foundation for Latin American and Latin@ culture and arts (FLACA) is a non-profit community organization whose mission is to provide and support programs and activities that encourage public awareness, education, participation, and appreciation of Latin American and Latino@ culture and arts by the entire Lexington and Central Kentucky community. Organizing community events, often through partnerships, to generate participation in all aspects of Latin American and Latin@ culture and arts. Organizing and sponsoring seminars, workshops, and classes for people of all ages not only to enhance general knowledge and appreciation of Latin American and Latin@ culture and arts but also to encourage creative experimentation in those areas. For FLACA, it is fundamental to promote, foster, and preserve the culture, traditions, and languages of our Latin American and Latin@ heritage. FLACA advances cultural and artistic education for children and adults by sponsoring a wide variety of programs. It also seeks to stimulate artistic and cultural creativity in our community. Consequently, it encourages new partnerships within the whole community in order to carry out those programs. FLACA wants to build partnerships with local government, universities, schools, and other organizations in order to develop specific projects oriented towards creating cultural bridges within the diverse population of Lexington. FLACA also fulfills its mission by generating innovative and vital linkages throughout the Lexington community. It is the intent of this organization to leave a legacy of positive contributions for future generations. FLACA is an organization composed mostly of Latin American and Latin@ Kentuckian community members. These community members have been working together for over a decade, but it was not until approximately three years ago that FLACA established itself as a formal, non-profit organization. The highlight of FLACA’s collaboration with the community, the local government (LFUCG Parks and Recreation), and other organizations is the Festival Latino of Lexington. With the motto, “Many Cultures … One City,” this festival represents the spirit of FLACA´s mission. In 2013, over 30,000 people came together in this celebration of Latin American and Latin@ culture and heritage in downtown Lexington. The 2014 Festival Latino will be the 14th annual event and it will take place in September during the National Hispanic Heritage Month that runs from Sept. 15 to Oct. 15, a period chosen because it bookends the independence days of five Central American nations (Guatemala, Honduras, Nicaragua, El Salvador and Costa Rica, Sept. 15), Mexico (Sept. 16) and Chile (Sept. 18), as well as Columbus Day/Dia de la Raza (Oct. 13 this year in the United States). The Festival features Latin American and Latin@ food vendors offering authentic cuisine, art vendors, youth activities, and diverse cultural expressions from most countries of Latin America. This Festival is the largest Latin American and Latin@ heritage event in the State of Kentucky.